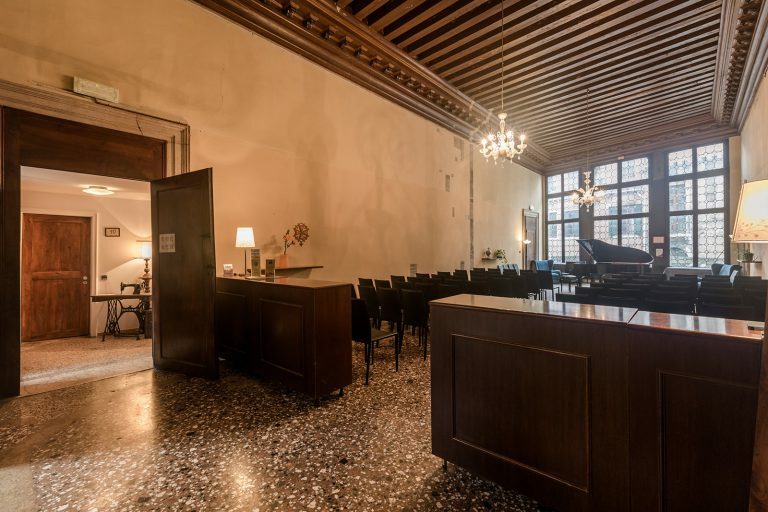 By choosing the Foresteria Valdese, hosted in an historic palace of Venice, with wi-fi and baggage deposit, you will enjoy rooms to suit your taste and ample common spaces that will welcome you when you come back from your walks around the city on the narrow streets and bridges of Venice, for a relaxing stay in the city. This ample space is where breakfast is served every morning from 8.00 to 9.15 am. The automatic dispensers of coffee, tea, hot chocolate and herbal infusions are always available to our guests. Anyone who wishes to do so, may also lunch and dine in this lounge area with their own picnic. A refrigerator and micro-wave oven are available for use. 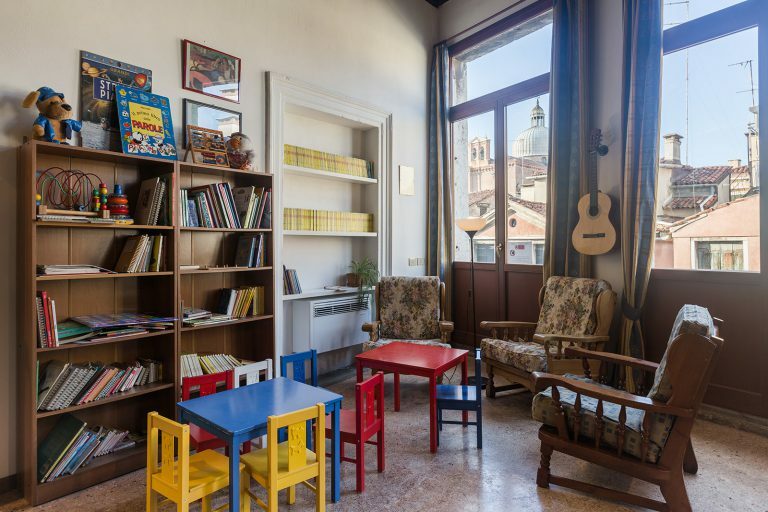 The Book Crossing offers to our guests an attractive corner for your children with a dedicated library for them and a selection of books for adults too. You may take these books and leave others for guests who will visit after you. There are also games for children and tables and chairs together with materia for drawing. Many rooms have a private television, while everyone can watch the television in the sitting room on the second floor together with other guests. 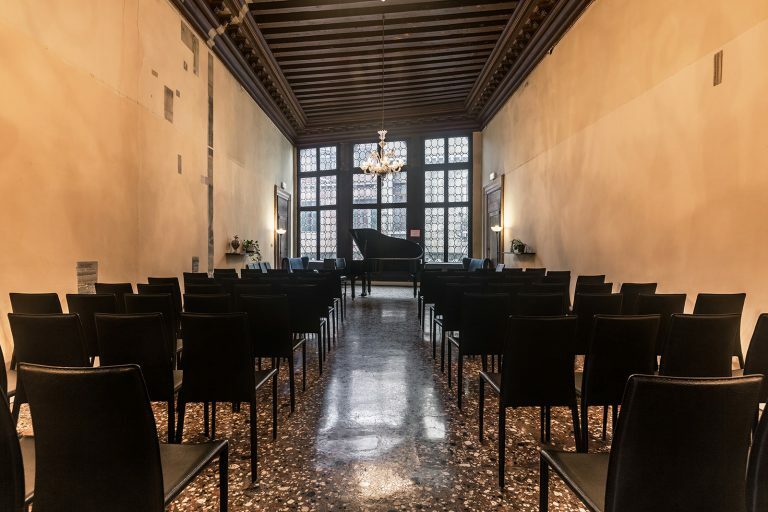 Concerts organised by the Cultural Centre are held Wednesdays and Saturdays at 6.00 pm in the Salone Busetto on the Piano Nobile (1st floor). Guests may also reserve this room to organise meetings and conferences. For some events, refund of expenses is requested. 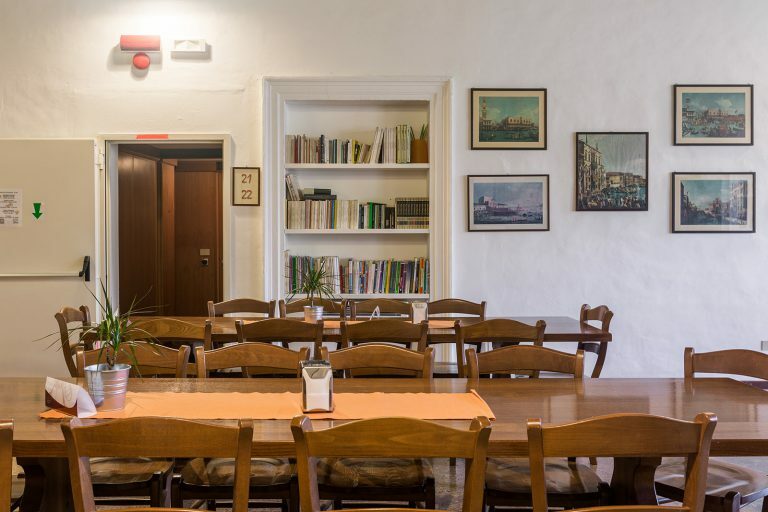 The Foresteria is open all year round and the Reception Desk is open every day 8.30 am - 1.30 pm and 2.00 pm - 8.00 pm to welcome guests and to handle check-in. Rooms are available from 1.30 pm on the day of arrival until 10.00 am on the day of departure. Guests are welcome to leave their luggage in the baggage deposit. Arrivals during the hours when the Reception is closed must be agreed upon in advance with the Reception and may be subject to a service charge, depending on the estimated time of arrival. Wi-fi is available throughout the Palace. The multi-lingual staff is available to provide information and suggestions for organizing the best possible stay in Venice for our guests.